CAMP LEJEUNE, Nc — For the first time ever, Marines with 3rd Reconnaissance Battalion, 3rd Marine Division competed in the Marine Corps Forces Special Operations Command Raider Games on Camp Lejeune, North Carolina, March 18-27, 2018. With little time to gather a team, knowledge of the event and time to prepare, 3rd Recon Marines seized an opportunity to succeed and set out for the games. 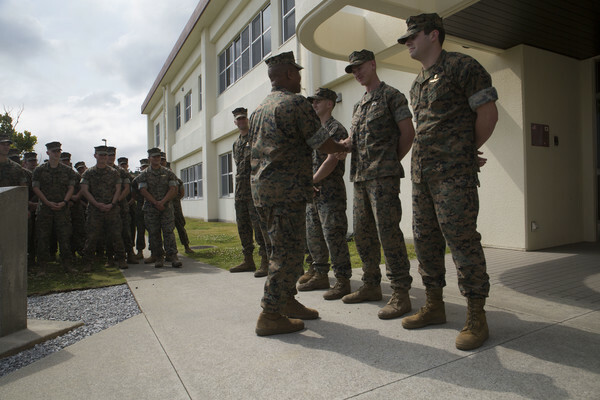 “The [Marine Corps Forces Special Operations Command] commanding general sent out an invitation to all recon units and we were lucky enough to have the invitation passed down to us,” said Sgt. Pedro Estrada, the training noncommissioned officer for 3rd Reconnaissance Battalion. With a desire to win, the command screened Marines from across the entire battalion to select the the most compatible teammates to compete. During the event, nine teams went head-to-head through the 10-mile course- all while wearing 45-pound assault packs. Marines battled through several evolutions to include marksmanship, casualty care and aquatic rescue. . Overall, 3rd Reconnaissance Battalion took second place, following in trace of MARSOC instructors from the Marine Raider Training Company Assessment and Selection team.